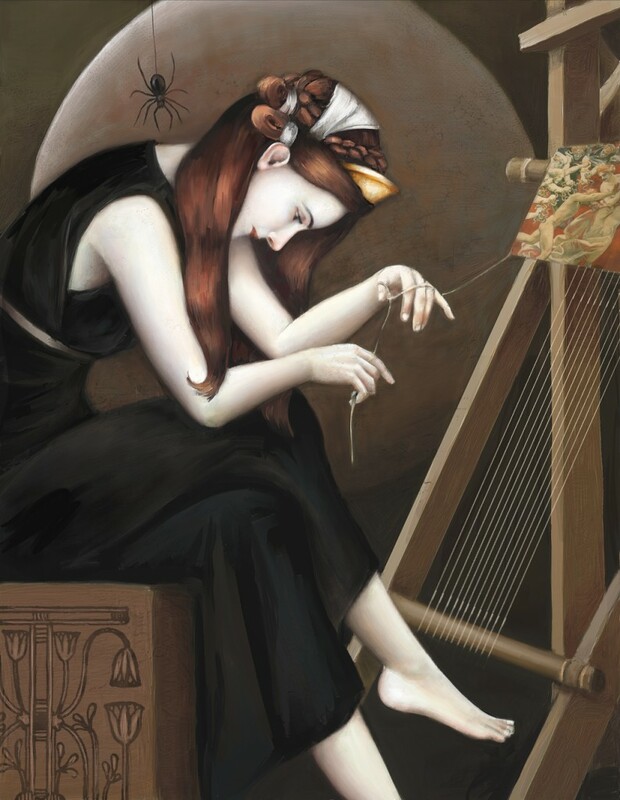 Arachne weaving her final tapestry, by Carlyn Beccia (www.carlynbeccia.com) Reproduced by kind permission of the artist. Registration is now open for this one-day colloquium, which brings together academics and creative practitioners working on contemporary versions of ancient myths. The event will be held at The Open University in London (1-11 Hawley Crescent, Camden, London NW1 8NP) on 7th July 2016. Attendance at the event is free but booking is essential. Places are strictly limited and will be allocated on a first come, first served basis. Attendees may register either for the full event or for the public performance at 5.45pm. To reserve a place please email Emma Bridges (e.e.bridges@open.ac.uk) by Tuesday 28th June, stating whether you wish to register for the whole day or for the public event at 5.45pm only. Border territories: transgressing ancient mythic voices in contemporary poetry. A reading and conversation with Josephine Balmer, Fiona Cox and Elena Theodorakopoulos. ”Stranger still are waters charged”: metamorphosing Salmacis and Hermaphroditus (Ovid, Met. 4.285-388). Artist presentation by Anna Parker (Umeå Academy of Fine Arts). Regendering Oedipus: from tragic drama to many-mouthed lyric. Poet Amy McCauley in conversation with Gareth Prior. Where on earth did you get a story like that? Readings from a new play, Orpheus and Eurydice, presented by Sharon Jennings (playwright). Giving life to the Amazons via the modern female gaze. Theatre-makers Laura Martin-Simpson and Rachel Bagshaw (Blazon Theatre) in conversation, with readings from ICONS, a new play by Paula B. Stanic. This entry was posted in Conferences and tagged classical reception, myth on May 13, 2016 by Emma Bridges. Hi Helen. You just need to email me to book a space (details in the blogpost above).